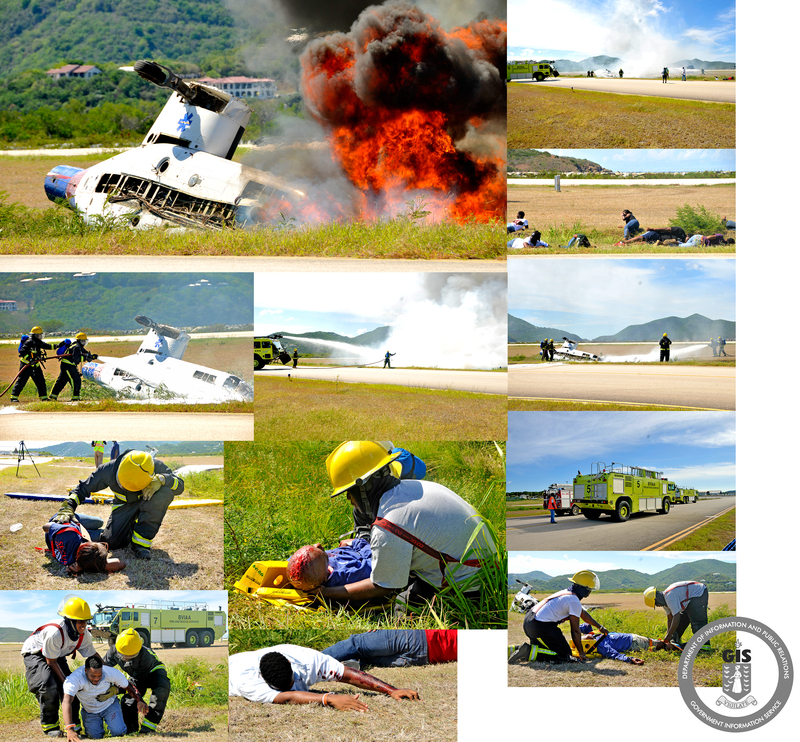 The simulation exercise which tested the responses of emergency personnel in the event of a crash at the Terrence B. Lettsome International Airport has been called a success. The biennial emergency simulation exercise was conducted by the BVI Airports Authority on Thursday, September 24 to meet the requirements of the Overseas Territories Aviation Regulations (OTAR) 139. Director of Administration, Ms. Diana Maduro said that the staging of a simulation exercise every two years is done to test the response of the BVI Airports Authority and other external agencies to an emergency during operational hours at the airport. She added that this is done to satisfy the requirements of the OTAR and is vital for the certification of the Aerodrome, in this case the Terrance B. Lettsome International Airport. Ms. Maduro thanked the participants and members of the public for adhering to directions issued by the Airports Authority during the staging of the exercise. Duty Manager, Mr. Clive Smith said the exercise featured the crash of an ATR-72 passenger plane, with 30 souls on board that was experiencing technical difficulties after leaving the Cyril E. King International Airport, St Thomas. Mr. Smith said the aircraft lost control and crashed in the ghut, north east of the apron at the airport. Mr. Smith added that the exercise was successful but that there is room for improvement. He stated that the department conducted a debriefing session to assess the challenges experienced during and after the exercise and a report will be compiled. The external agencies that participated in the exercise included the Department of Disaster Management, BVI Red Cross, Virgin Islands Fire and Rescue Services, BVI Health Services Authority and the Royal Virgin Islands Police Force.